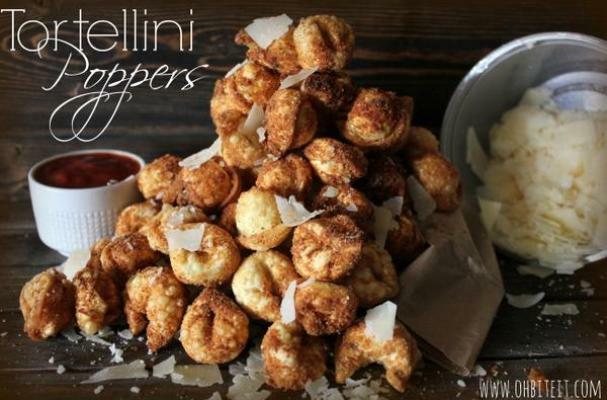 Hold on to your plates -- these fried tortellini poppers will disappear from your table faster than you can say 'cheesy.' It's a super simple finger food recipe from Oh, Bite It! that has us drooling for breaded and fried tortellini dipped in warm marinara. The best part: You don't even have to worry about making the pasta yourself.